My birthday month is here! I may be almost 24 years young, but I still get so excited when October rolls around. This year it is particularly exciting for several reasons. The most exciting thing happening this month is a week long trip to Orlando, Florida to visit Hogwarts… I mean, Universal Studios: Florida. But I’m mainly exciting to drink my weight in butterbeer. I’m also terribly excited to see an incredible author speak. My wonderful girlfriend is also off work for two weeks and I get to spend every waking (and sleeping) moment with her. Much needed bonding time in our near future!! Post three times per week: Still working on this. I have a notebook full of prepared posts, but have not found the time to upload them all. Write, Write, Write: I have been writing so much that my adorable little mini-binder is nearly full. I have posts prepared for posting (just need to type them) and lists coming out of my ears. I have been brainstorming ways to improve my blog through some free-writing activities. Learn more about blogging: While I still have more to learn, I have joined several groups on Facebook that discuss blogging and my pinterest is overflowing with ideas and tips. Be more organized: This will be a process… But I have made great strides in this area. Check out my wonderfully color-coded planner that I purchased last month. I wanted one that I could use felt-tip pens on. I’m a little disappointed in the quality of paper because they bleed through, but it will work for now as I try to figure out what system works best for me. I couldn’t help it! 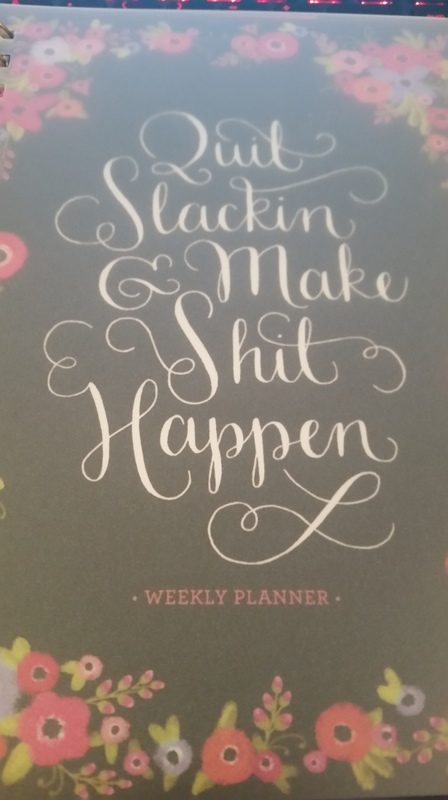 When I saw this planner, it had to be mine. It is just witty enough for someone like me. It is perfect. My handy-dandy set of felt tip pens in multiple colors to allow me to color-code my stuff. It makes it easy to find tasks. 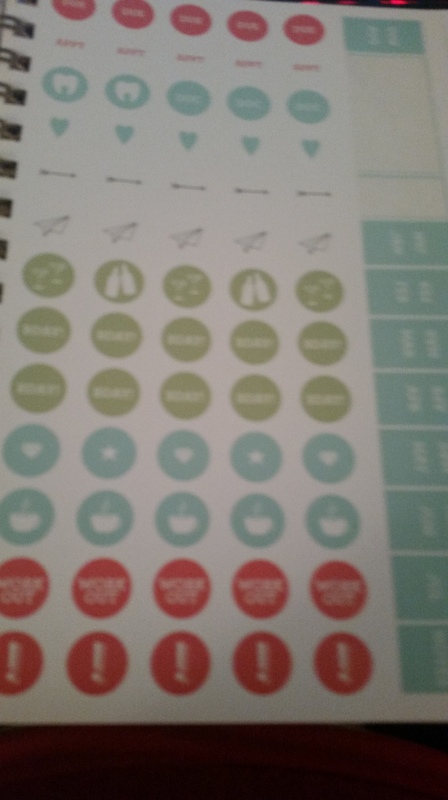 It even came with these adorable stickers. I’ve thought about buying more and some washi tape. I want to work hard and continue to meet the goals I set in September; however I am smart enough to know I cannot set my sights too high this month. I have about two weeks to pack and finish plans for our trip. In that time I also have to get a week ahead in my schoolwork so I don’t have to worry about anything but pumpkin juice and chocolate frogs while we’re gone. Continue Planning: Now that I have managed to purchase and organize an adorable planner, I feel like the next step is planning my blog posts. I want to be considered an inspired lifestyle blogger, but I also want to be organized and prepared so that I can post something as often (or as often as planned…) as possible. Prepare Posts/Schedule Posts: I have plenty of posts handwritten (I think better that way) that I just need to type and find photos for. Pinterest: It is such a wonderful place to find just about anything. I need to set up a board just for my blog posts. I have one, but it seems to be a catch-all for all my business related pins.